At 8am Tuesday morning, Laurence, our compassionate, knowledgeable vet and I made the decision to euthanase Saffron. Late afternoon, Saffron suddenly developed a new and debilitating set of neurological issues after a period of relative calm. She spent the night on heavy pain meds in my bedroom. Neither of us slept much. Saffron battled to get comfy and dozed on me while I sat in bed for most of the night. X rays taken early in the morning revealed congenital issues – including a deformed hip joint, that would have never allowed Saffron to walk or stand. Her other leg was so deformed, she could have never hopped to compensate. She would have lived on tranquilising pain killers and been mostly cage bound. There were some other complicating factors too. A deformed spinal chord, her balling muscles. A life, we (Dr Beherens and I), with input from a few other trusted consultants, was not a life we would want for ourselves or Saffron. Secondary issues such as swollen joints and sores were starting to develop despite regular physio. We agreed that even with the best care and nursing, which I would have given, we could not keep Saffron comfy enough to warrant any type of quality of life. We have had, and have many special needs chickens, but in all cases with some help they manage a good life. I feel as comfy as one can feel with the difficult decision when choosing to end a life. Grateful to be able to put her out of her pain, but acutely aware the decision is a responsible and sad one. Thank you to Cathy for seeing the challenges Saffron was having and taking action by delivering her to me for these last 3 months. Thank you to Dr Beherens for his support medically and emotionally. To Sophie, Karla, Nick and Lilly for the daily care of Saffron, especially while I was away, and to my friends and FB friends (you) for all the support and words of encouragement when it came to Saffron. Saffron brought so much joy with her. 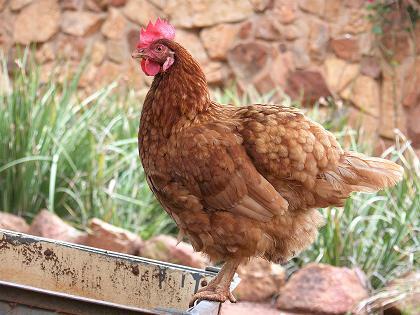 A truly tenacious hen who bore her disability with acceptance, and Grace. My heart is very sore today as I miss my friend and face the third day in months with no Saffron cuddles and kisses. Love you Saffron. You made your mark in your short time on earth. 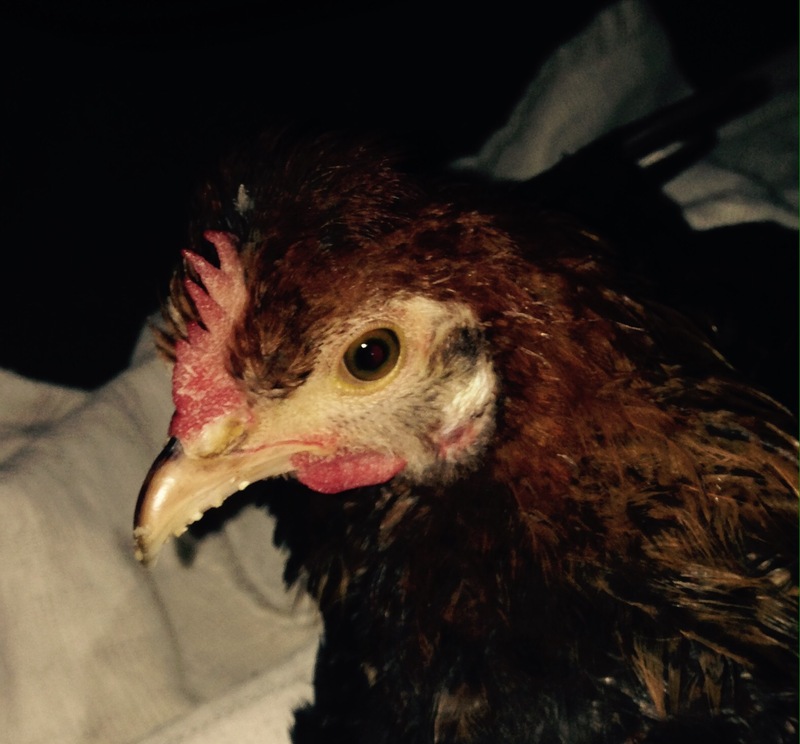 Posted on the blog this morning from Fiona, who is wonderful hen mother to some of our rescues. What a wonderful comment, and so fitting in memory of beautiful Doh. We drove out to the farm early Tues morning to see if we could have one last look for our gentle Cindy. Sadly we did not find her, and as each day passes I have to let go of the fantasy that she suddenly emerges from the veld unscathed. At best she died a natural death in the veld while free ranging. At worst, she was stolen by a neighbour for the pot. I think that the most likely explanation is that she was taken by a rooikat while scratching in the dirt, looking for food. Although sad, I can get my head around this, and would have these chickens live in no other way. Cindy was rescued from a pet shop in Krugersdorp in August last year. She was in a tiny cramped cage, and had come from a battery farm. Her life for the last 7 months has been 25 veld hectares of chicken bliss, with a safe and warm home to return to at night. Cindy and Sarafina were rescued together, and were inseparable. Sarafina definitely showed signs of distress for the first 24 hours, and is showing distinct signs of a depressed mood this weekend. Again, witnessing such clear emotions, I have to wonder what a terrible dis service we do to these emotionally aware animals when we commit them to a life of misery and torture through our desire for animal protein – meat and eggs. I will miss her holding her soft, but solid form, stroking her head while watching her close her eyes, and kissing the soft feathers on her neck, watching her take a dust bath. Om mani padme hum Cindy.